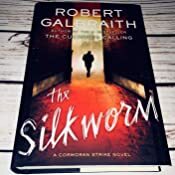 Start reading The Silkworm: Cormoran Strike Book 2 on your Kindle in under a minute. 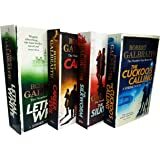 This book is the second book of the Cormoran Strike novels and is written in much the same way, with the chapters alternating between P.I Cormoran and his assistant Robin. The style of writing is much the same as the HP series and as I said in my review for the first book in the series, Cuckoo's Calling, I don't think it works. It makes the writing style awkward and hard to read I feel, I struggled with it at times. Once again the story focuses on Cormoran Strike as he investigates a murder. This time Owen Quine author has been murdered in the same way one of his characters was murdered in his new manuscript. We then follow Strike as he investigates the murder, Quine it doesn't seem is short of enemies and there appears to be hidden clues in the manuscript. I found the book odd. Dislike is too strong of a word for how I feel about this book. But there were many things about this book that I didn't like; the snide almost nasty way I felt the author described the press and the "famous" people in the first book are here too with the added bonus of there appearing to be a complete dislike of the literary world. The snippets of the manuscript that we got to read through Robin reading it, were very strange, they were very wacky and confusing and I didn't feel added anything to the plot at all. I do thing the author has done a good job with the characterisation of Strike and he is intriguing, but he seems to be the only character who has any real depth to them. The story is also well paced, but is quite predictable in places. Of course I might be one of the few that are not overly fond of these books, but they just didn't gel with me. I don't think I will be reading any more in the series, there was more about this book that disliked than I liked and to me, that usually means it’s time to stop reading in a series. So I won't continue reading. 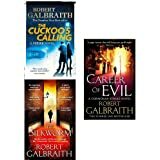 Eccentric private detective Cormoran Strike returns in this second book of the series; an author's wife hires Strike to track down her husband who has form for taking days away from his family, however when Strike discovers his body in what is staged as a ritualistic killing things are complicated when the method of his demise has been written in his own pre-published controversial book. With many suspects and much bad blood between them Strike must unravel who the killer is before the Met press charges against his innocent client. This is a well written and researched crime thriller, which although not as thrilling as the first one, still was interesting in the themes it included of publishing and writers, but what reading this second book reinforced to me was that I personally don't find Cormoran Strike an alluring literary character, for some reason I am immune to his charm and not even the hidden depths of his assistant Robin and her tumultuous relationship with her fiance could keep my interest up. 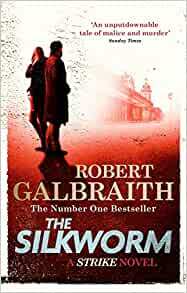 I can't fault the plot, although it somewhat dawdles sometimes, or the writing and this is far from the worst crime thriller book I have read this year but I am just not taken with Cormoran Strike. However, if you enjoyed reading Cormoran Strike in the first one, this one will prove just as entertaining. I'm very late to the Strike novels and now I'm an addict. I was quickly immersed in the narrative - more gruesome and nightmarish than 'The Cuckoo's Calling' - and thoroughly invested in Strike and Robin. (Leave Matthew, Robin, for heaven's sake.) I've spent happy hours trying to untangle the clues, literal, figurative and linguistic, engaged and frustrated as the author has played me like a fish. I'm already binge reading the next one, with my hair standing on end. I can't wait for 'Lethal White'. Entertaining, puzzling, funny and frightening - can I call something grisly a treat? I really wanted to like this one. I loved the first one in the series. However, I had to force myself to finish The Silkworm. The main characters, of which there are many, were lacking any redeeming qualities as far as I'm concerned. I just couldn't get interested in them at all. Even Robin and Cormoran seemed to have lost some of their lustre. 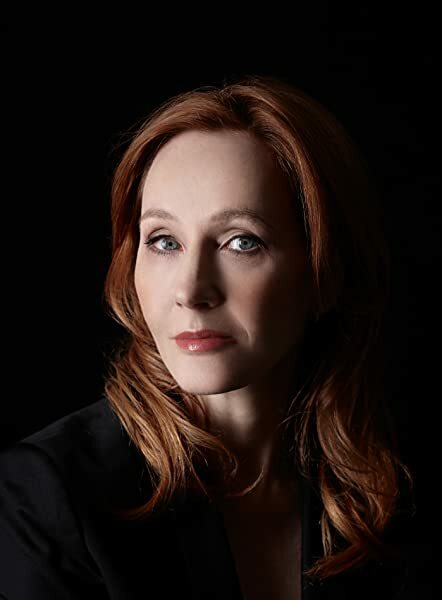 JK Rowling is back again with our favorite post-Sherlock detective! The book starts when a widow visits Strike and Robin in his office asking for help regarding her missing husband. When Strike investigates his death he soon unravels some of the inner workings and deeply contrived attitudes present in the publishing world, a world where getting published at all is like striking gold and reputation is everything. When Strike discovers that the missing man has actually been gruesomely murdered, things get even more twisted from there. This book exemplifies Rowling's signature extraordinary storytelling talents- she hasn't lost her flare. Cormoran and Robin are likeable, well structured and holistic characters. We learn a bit more about Strike himself and see his professional relationship with Robin grow - the two make an unlikely pair and you can't help admire each one's respective talents. However, out of the 3 Strike novels in existence, I felt the ending and subsequent explanation of the mystery of The Silkworm to be very rushed and left many questions to be answered - in fact, the explanation of Strike's mystery-solving took up exactly a page and a half - and that too, of the last few pages of the book! The rationale behind Strike's investigative findings felt hastily hodge-podge at best, but of course by this point in the book you just want to know "whodunnit", -thanks again to Rowling's talents as a master storyteller. Still, a book worth picking up and an essential read if you want to follow this up with Career of Evil (not that the 2 are related, but solely for the relationship developments between Robin and Strike).